Therapists who work with patients for rehabilitation and prevention of injury have used many methods over the last century with great success. There are constantly new best practices, innovations and technologies that are contributing to greater levels of health and wellbeing. One of the more recent innovations has been with Whole Body Vibration or Gravity Resistance Training. As more research has been completed showing significant benefits with people of all types, therapy clinics around the world have been integrating Whole Body Vibration into their practices with great success. 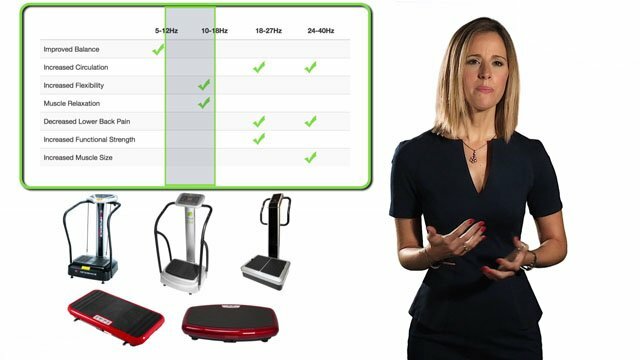 This page will provide you with important education on the many benefits of Whole Body Vibration for your therapy clinic, some of the important things to look for when choosing a Whole Body Vibration machine and insights from top therapists who are using Hypervibe with great success. 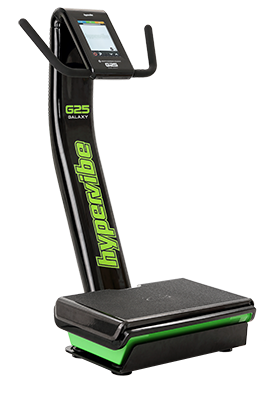 Hypervibe Whole Body Vibration has been an integral part of our practice. 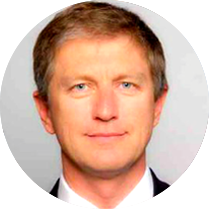 It has been a catalyst for patient rehabilitation and there’s simply no other platform that provides the same effect for the investment. A. 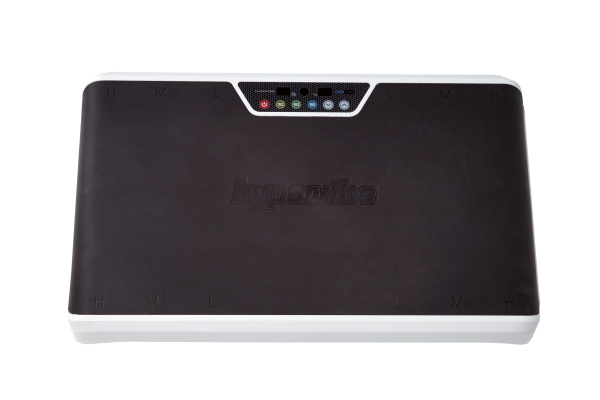 The consultant actually recommended Power Plate to me and after doing my own research I discovered that Hypervibe was a superior technology based on the amplitude philosophy and also because it is a pivotal platform instead of linear. Q. What type of patients do you use Hypervibe on? A. Pretty much every patient uses Hypervibe. I use it for chronic neck, back and knee pain as well as fibromyalgia, peripheral neuropathy, osteoarthritis and to help remove after surgery scar tissue. It works very well for a wide range of conditions. Q. 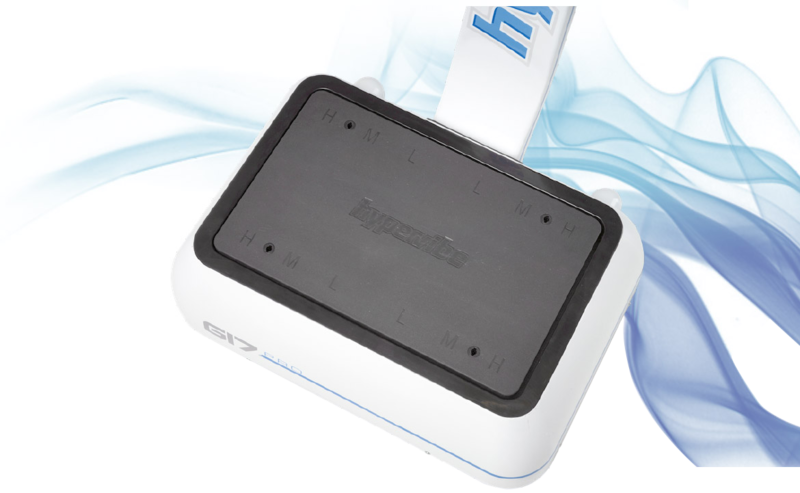 What type of protocols do you use on your Hypervibe? A. 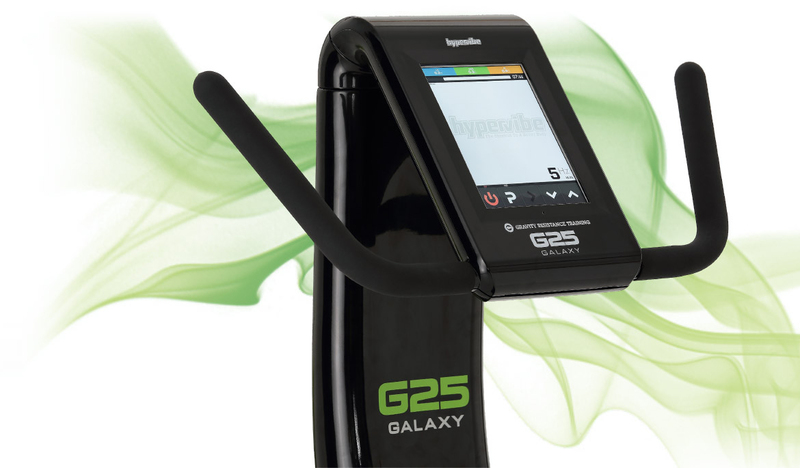 Lately we’ve been following the protocols on G17 Pro and each patient uses it for approximately 8-10 minutes. Everyone is a little different. Standing and shallow squat is a great basic routine for most patients. Knee patients we will do lunges. Back patients will do low back releases. We will often use it as a warm up and then phase to strengthening afterwards. 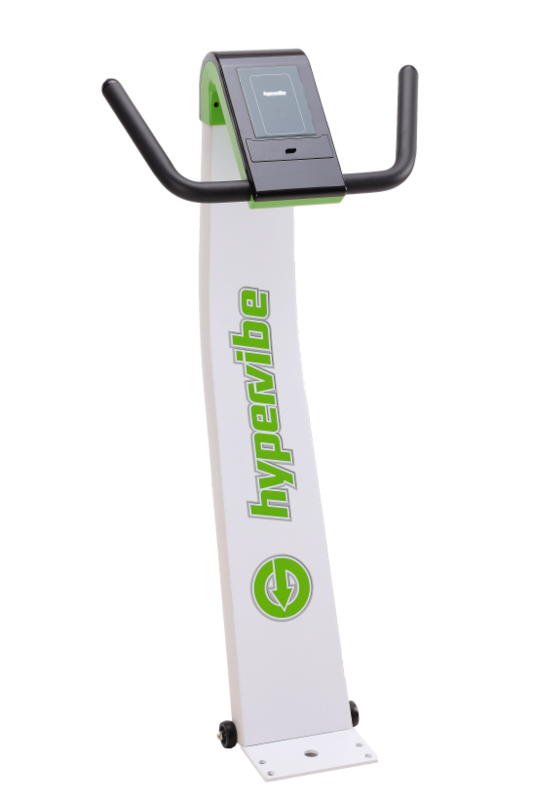 Hypervibe is much better than treadmill or stationary bike for warm up. It does the work for you. It activates the muscles by helping with muscle recruitment. When your muscle activates, you typically only use about 20% of the fibers. 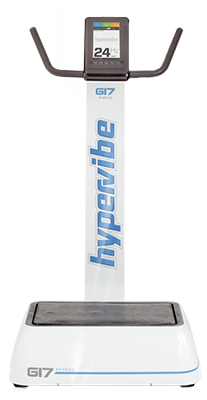 With Hypervibe you get almost all of the fibers to activate. The positive outcome is improvement in strength, conditioning and reduction in pain. Q. Does having Hypervibe give you an advantage? A. 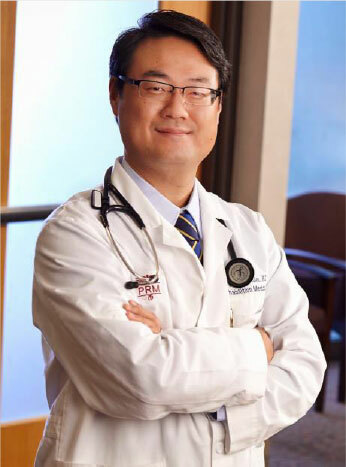 It absolutely gives us an advantage over other clinics. A lot of patients go to therapy and they don’t get results. The reason why is that they are not being challenged enough. Often times their motivation isn’t very good. On Hypervibe, you can’t help but to be challenged. It gives them this extra push. Our therapy is much more sophisticated and advanced. No one else in our area has anything close to it. We’ve had patients like it so much that they ended up buying a machine for their home which is great because they can continue making improvement between appointments. Q. 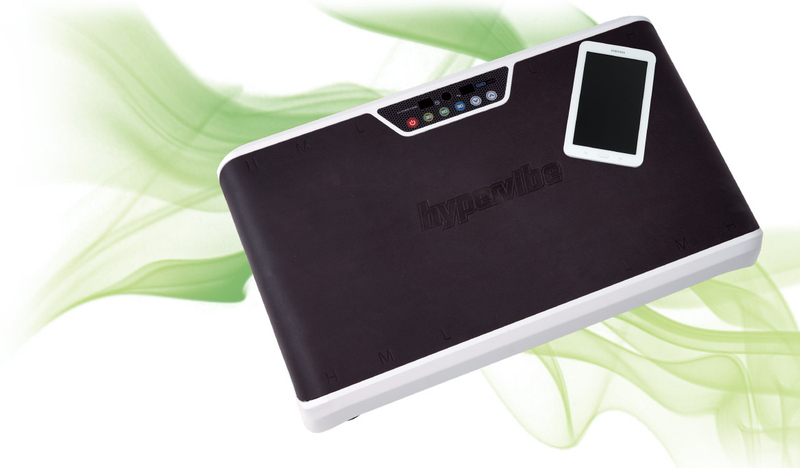 Do you charge anything extra for use of Hypervibe? A. We bill it as a therapeutic exercise and insurance reimburses us for it. Q. Do you have any other perspectives to share? A. I’m a strong believer in the technology and highly recommend it to anyone. 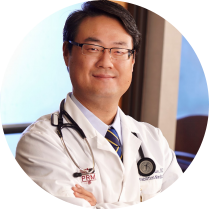 Hypervibe has been an integral part of our value proposition to our patients and the quality of product and customer service has exceeded my expectations. A. In 2004, my business partner and I went to a conference and saw a Galielo machine and a presentation about the technology. We were very impressed and felt that if it’s half as good as the research show, it would be amazing for our clients. At nearly $20,000 per machine it was a bit cost prohibitive for us so we did a lot of research in the other machines on the market. A. After doing our research, the only other machine in the world that we found that compares to the quality of Galielo is Hypervibe. We actually found that Hypervibe was equal to or greater than Gallelio from a technical standpoint for a fraction of the cost and their customer service has been amazing. Q. How would you describe the benefits of Whole Body Vibration? A. Think of this world as a 1 G environment. We know from space exploration if we go to a micro G environment, our body dissolves. Whole Body Vibration is a tiny multiple G environment. Our Hypervibe machines can simulate up to 17 times gravity. Whatever environment I spend time in, my body will adapt. Just by standing on the machine, increased gravity means you’re working. This concept of 1 G is only effective when we’re standing. When we are sitting, lying and standing we are in a micro G environment and our bodies are slowly wasting away. This is a primary reason that elderly people lose bone density and muscle mass as they become less and less active. Q. How does Whole Body Vibration work? A. When the doctor whacks you on your tendon, there is a reflex response in your spinal cord. When you do a weight lifting exercise like a squat, only 25% of your fibers are working. Whole Body Vibration uses the stretch reflex. By using the stretch reflex, you are using 100% of the fibers in your muscles all at once. It’s an incredibly more efficient and effective way of strengthening. Q. What are some of the main conditions you use Hypervibe for? A. Any condition that needs a rapid increase in muscle strength. This includes anyone from young athletes to elderly people. 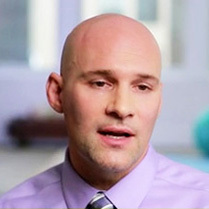 One of the great applications for Hypervibe is injury recovery and for people who are aging and losing muscle mass. Another ideal use is for warming up and cooling down from exercise. It has a warm-up effect not just in terms of blood flow but also nervous system especially. It provides incredible neural input to get body ready for exercise. Post exercise, we use it as a warm down and for flexibility. Stretching is best achieved when body is warm and just a few minutes on Hypervibe post workout to relax muscles and stretch will make a world of difference. This leads to recovery. 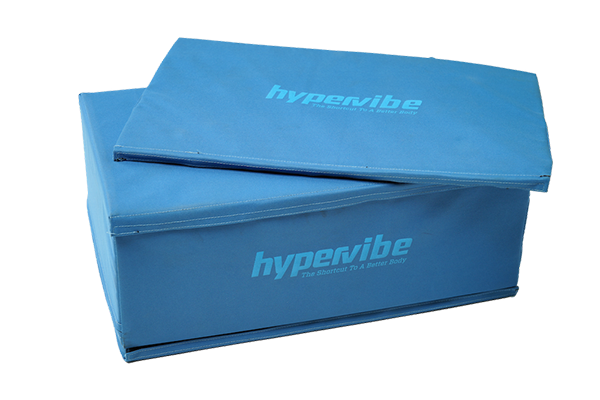 Whether you want to recover from an injury or recover post exercise, Hypervibe is a fantastic tool that will help you recover quicker. Q. Who is Whole Body Vibration Ideal for? A. There are a number of ideal uses. First, I believe every adult over 45 should use a machine like this at home at least 5-10 minutes per day. It would make a significant impact! From 45 on, we lose 2% of body mass per year. They don’t have to do any exercise and they get a benefit. It’s like an incredible anti aging tool. In nursing homes, they should give residents 5 minutes per day of WBV, it would make a world of difference. This technology is also ideal for athletes who want to recover quicker from exercise, are recovering from an injury, people who want to lose weight and especially those who may not have as much time to go to the gym as they would like. Hypervibe is a tool that can help us achieve our therapeutic aims quicker. It is not magic but it is a great tool. Q. Do you have any specific examples of success stories with Hypervibe? A. I’ve had fabulous results and feedback, too many to mention. One of the most memorable was an elderly man who said “I can now put my pants on again while standing up”. He used to have to sit because of lack of strength in his body and was in a lot of pain. While this might not sound like much, it’s a dignity thing which is a big deal! It literally can add years of quality to your life. I’ve also worked with many athletes and have seen significant increases in vertical leap, lateral quickness and explosiveness. One example is an athlete we worked with who did not make her team the previous year and earned a position on her team that ended up making the national championships. Q. Do you have anything else you want to share? 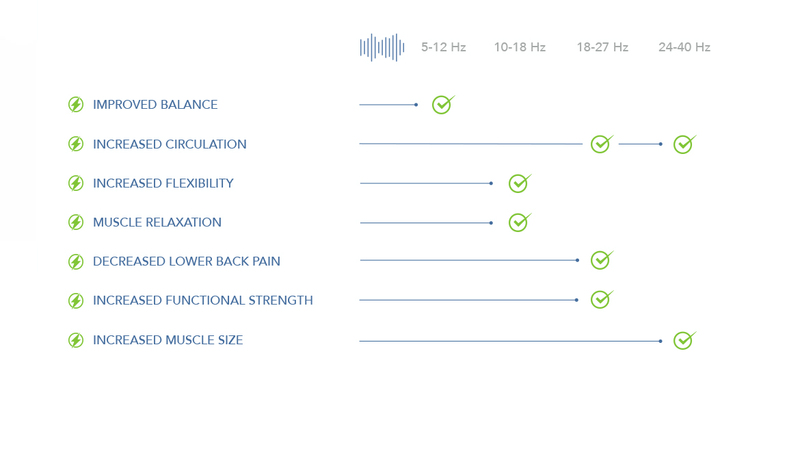 A. I’m a big believer in Whole Body Vibration therapy and especially Hypervibe. There are a number of different platforms on the market and if you do your research, you will quickly discover that Hypervibe is a far superior technology and provides the greatest value for the money for your practice and your patients. 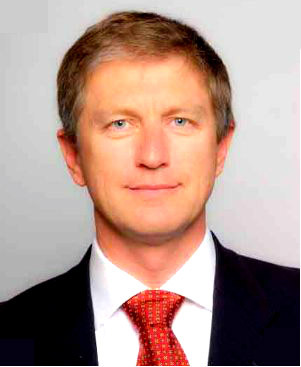 I feel having Hypervibe in our practice provides a great value to our patients while giving us a competitive advantage. I personally use Hypervibe as well. It is something that I wish more people could educate themselves on to realize the many benefits.